Ring News 24Boxing News Breaking Boxing NewsDoes Lamont Peterson have a chance against Errol Spence Jr? 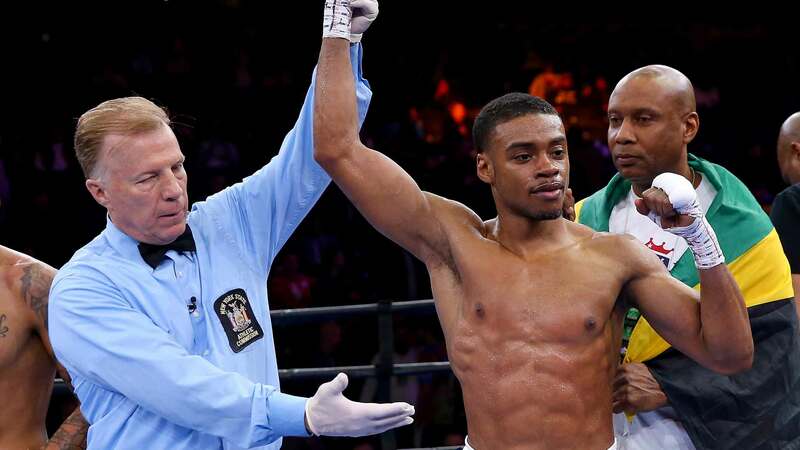 Errol Spence Jr will finally return to the ring on January 20 to make a belated first defence of his IBF welterweight belt against ex-world champion Lamont Peterson in Brooklyn. Peterson is a physically strong and athletically capable welterweight who made his debut in 2004 and seems like one of those boxers who has been skirting around the scene for an age. Respect is due to to the Washington man for stepping up and entering the ring against Spence when so many others have made their excuses and averted their gaze in different directions. In 2015 Peterson lost a tight and contentious majority decision to Danny Garcia in a fight that could’ve gone either way. He has always displayed a robust beard, aside from a stoppage loss in 2013 to Lucas Matthysse, but the Argentine is notoriously strong-fisted and if Spence Jr can hurt or stop Peterson it would be a statement. Lamont’s biggest win came in 2011 when he defeated Amir Khan via split decision in a fight that was marred in various ways due to the performance of referee Joseph Cooper, the controversy over the “mystery man” Mustafa Ameen and his antics at ringside around the scoring and distraction of IBF officials. The proposed rematch never happened after Peterson failed a drugs test. This does indeed drag a shadow over the first Khan fight as Peterson has since admitted testosterone-related offences around that fight too. All of this is now in the past and Peterson is once again assumed to be competing as a “clean” athlete. Talking of awkward questions, there are a few that need to be asked about the management of Errol Spence’s career. Al Haymon has simply not kept some of his PBC stars active enough or capitalised on good wins with better marketing of his main assets. After Spence Jr defeated Kell Brook in May, 2017 to win the IBF welterweight title his stock in boxing circles rose exponentially. No longer was he merely an exciting prospect who had done everything asked of him as a pro, or the man who had given Floyd Mayweather Jr all he could handle in competitive sparring sessions. He had added substance to his style and was now in position to demand big fights. What happened next? Well, not a lot to be perfectly honest. He is now fighting in late January, some eight months after a career best win and a large amount of wind has been taken out of his sails. It seemed in 2016 that Haymon was taking Spence’s star potential seriously when he scheduled him to fight Leonard Bundu right after the U.S. men’s basketball team had won gold at the Olympics, resulting in a huge ratings boost that set a record for the PBC. Spence was offered the Miguel Cotto farewell fight that Sadam Ali ultimately took and won but like Mikey Garcia, Spence was unwilling to sign a long-term deal with Golden Boy Promotions as was an apparent stipulation of taking the fight. Either way, the big fights surely cannot elude Spence for much longer. Defeating Peterson is his first task and then building on that with another fight over the next three or four months is vital. The Texas star cannot afford to sit on the shelf and gather dust for much longer as he approaches his prime years. Al Haymon and his PBC team need to step up and guide their asset more effectively. Lamont Peterson has a chance against Spence but it would be a big upset if he were to do anything more than remain competitive against the champion.